Hailing from England, Scott Patrick Farrell founded Ringstar Boxing in 2016. In 2018, he received the Orient Promoter of the Year award at the Philippine International Convention Center in Pasay City, Metro Manila, Philippines and now, he is proud of what the boxing promotion has become. Based in Singapore, Ringstar Boxing is now one of the fastest growing sports media properties in Asia. 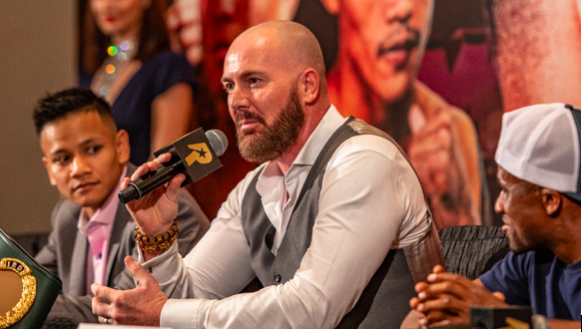 Farrell founded it with a vision of developing world champion professional boxers in the continent and bringing billions of people together onto one fight platform. The first event of Ringstar Boxing in 2019 will take place at the Singapore Indoor Stadium in Kallang, Singapore on March 29, 2019. It will be headlined by Muhamad “The Chosen Wan” Ridhwan of Singapore and Paulus “The Rock” Ambunda of Namibia, who will compete for the World Boxing Council Silver Featherweight title. This will be a rematch between the two boxers. During their first encounter at “Roar of Singapore V: The Kings of Lion City” at the Marina Bay Sands Hotel, Bayfront Subzone, Downtown Core, Singapore on September 29, 2018, Ambunda and Ridhwan competed for the International Boxing Organization World Super Bantamweight title. After 12 rounds, the championship bout between Ambunda and Ridhwan was left in the hands of the judges. In the end, referee Gary Ingraham raised the hand of the Namibian boxer, who was declared the winner via split decision. There will be two co-main events in the first Ringstar Boxing event in 2019. International Boxing Organization Bantamweight Champion Michael “Gloves On Fire” Dasmarinas will face his fellow Filipino boxer Kenny “Big Heart” Demecillo for the IBF World Title Eliminator while Nort Beauchamp of Thailand and New Zealand will face Defry Palulu of Indonesia for the WBC Asia Super Featherweight title. Tickets range from $38 – $118 and go on sale January 18, 2019 at www.sportshub.com.sg/Ridhwan- Ambunda. VIP ringside sofa seats are at $1,888 comes with uninterrupted views of the ring and a personalized butler service with free flow drinks. Early Bird discounts of 30 percent off all tickets till February 28, 2019 with promo code “Ringstar.” All fights will be broadcast live globally with more details to be announced soon.